Benefits of Google Remarketing for Real Estate – Over the past few year internet users has become savvy. They are coming up with the new and more innovative techniques for getting good exposure and more clients. One such online marketing strategy is remarketing which has proven extremely beneficial for the real estate business. Even after having a great website, awesome content and good advertisements your visitors are bouncing backs then this is something you need. 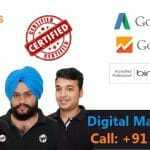 There are several benefits of Google remarketing for Real estate business which are as mentioned. Not to fret anymore if your visitors are bouncing back. 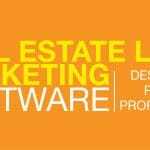 Google remarketing is a great way to generate leads in Real estate business. Buying a home is a lot bigger investment then buying service or product. Thus, your clients will like to think more and they will take time and they might visit multiple sites. You might be thinking that how to get your visitors come back to you? Well, here comes the re-marketing into the play by which you can get your visitors back and get the conversion through remarketing. This post will help you in understanding the Importance of Google Remarketing for Real Estate, let’s get started by understanding the working of Google remarketing. How Does Google Remarketing for Real Estate Works? Remarketing is a type of online advertisement. In other words you can call it stalking your clients over internet but it is entirely legal. In this kind of advertisement, your ads will display in front of people who previously visited your site. This is the best way to keep your option a live in client’s mind. While your visitors are browsing over internet over different sites you can keep your service in front of them. In Google remarketing a simple code follow your visitors over internet. 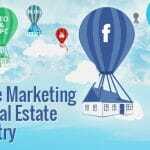 How remarketing is helpful in getting conversion for real estate? People take a lot of time when it comes to investing in home. The real estate industry is big and they have number of other option as well. Before investing the huge amount they will go through several other sites to get the best. Therefore, it becomes important for you to keep your option alive in their mind. This is done best by remarketing. The visitor visits your website and is tracked. Without conversion the visitors left and go on other site. Your ad will appear on the other sites the visitor visit. 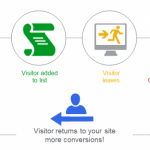 The visitor return to your website and now the chances for conversion are high. These are the 4 steps in which you get the conversion and these are very effective in getting good conversions. Through Google remarketing your real estate business could get good boost. What are the benefits of Remarketing for real estate? Remarketing surely provide good ROI. With the small investment your ads could reach to the tons of people where conversion chances are extremely high. You will be amazed to know that it is being estimated that the every 5 dollar which you invest in remarketing rewards you with additional registration which is a great deal. While home buyers keep doors open for number of other options therefore, this will help in increasing your chance for by appearing more in front of them by reinforcing your brand. It is the best way to re-engage them with your option over your site. Your registration will increase through remarketing along with this you will get good conversion. 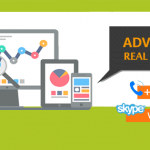 This is definitely the best advertisement plan over internet for real estate business. If you have enough traffic on your site then remarketing can do good work for you. It is supplement to your paid advertisement. You need to feed leads in your system for best result by remarketing as it cannot reach to the people you does not have. Remarketing in real estate is extremely helpful. At WebHopers you could get the best Real estate Google remarketing services as the ads which we provide are relevant. Ads designs by WebHopers are based on the group you want to target. Along with this our ads are direct with the clear call to action. Remarketing helps push leads through the conversion and this best part of it. Even if your lead does not click over your ad, it certainly ad credibility to your brand as it will be visible to number of people.